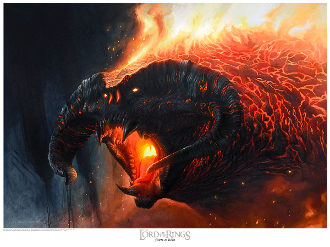 This art was first seen painted live on stage at the Weta Workshop booth at the Emerald City Comic Con, 2018.Officially licensed Fine Art with Warner Bros. Studio. Available now in both Canvas and Paper Giclees. Paper Giclees measure 18 x 24 inches on Breathing Color's Elegance Velvet paper.Limited to 2000 pieces world wide. Includes signed COA. Canvas Giclees measure 20 x 27 inches ( facing art ) and utilize Breathing Color's archival "Lyve" canvas, complete with hand-applied protective varnish. Comes signed and numbered by the artist with Certificate of Authenticity. Canvas Editions are limited to 250 pieces worldwide. If you choose to have the canvas gallery wrapped, please allow 2-3 weeks for completion. The canvas will be mailed in a box to your address.